If you love watching Game of Thrones with a whisky in hand (and you really should or you don’t know what you are missing), then Johnnie Walker’s latest offering will tickle your fancy. The capital city, Nairobi came alive on Wednesday evening at an exclusive event that saw the launch of Johnnie Walker’s limited-edition Scotch whisky, inspired by the most enigmatic and feared characters on the hit HBO show Game of Thrones – the White Walkers. Not even the heat which has dominated the weather pattern in the city for a while now, could stop the invited guests from getting into the winter is here spirit at the popular Milan Club, Westlands. Created by whisky specialist George Harper, alongside the small team of expert blenders at Johnnie Walker, this innovative whisky is best served directly from the freezer, echoing the chilling presence of the White Walkers. Game of Thrones is an American fantasy drama television series created by David Benioff and D. B. Weiss. It is an adaptation of A Song of Ice and Fire, George R. R. Martin‘s series of fantasy novels, the first of which is A Game of Thrones. The series has received 47 Primetime Emmy Awards, including Outstanding Drama Series in 2015, 2016, and 2018, more than any other primetime scripted television series. So why not resurrect your love of whisky whilst watching your favorite episode of GoT this season. Word is Season 8 will be the final season of Game of Thrones, though after the conclusion of Season 8, five potential prequel projects were pitched to HBO. 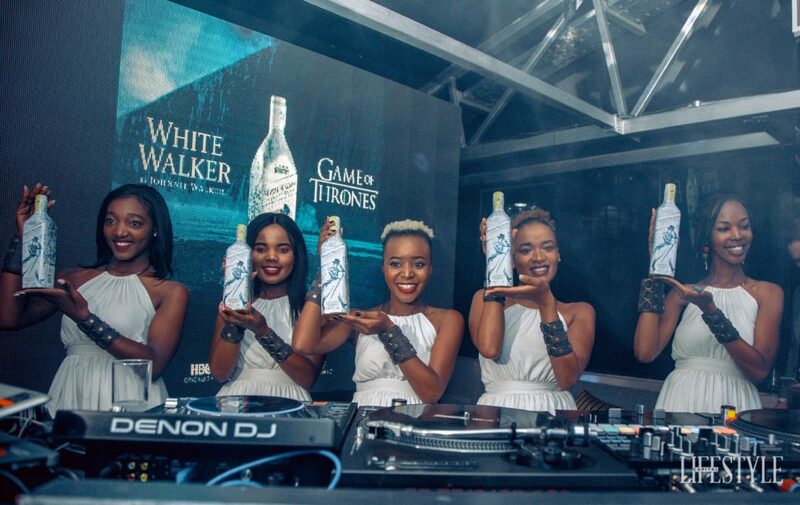 The post Johnnie Walker launches limited-edition ‘Game of Thrones’ scotch in Nairobi appeared first on Capital Lifestyle.